My love of travel inspired me to become a tour director in the late 1990s. When I decided to lay my toothbrush in a place for more than 2 days in 2004, I did not want to let go of my love of guiding. I got myself qualified as a London City Guide. If I was not able to give a walking tour, how else could I share my love of London? My mailing list evolved into my Legends of London blog. I just love spending hours paging through books to find the best little bit of information that will make someone say, “Wow!, or “I didnt know that!”, or “That is amazing! I must tell….”. 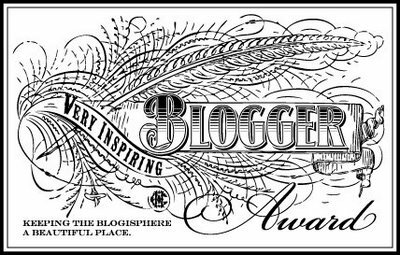 I am thrilled with the lovely positive feedback I have recieved so far, and am also moved by Travelling Bag, who has awarded me the The Very Inspiring Blogger Award. A huge thank you to Pam from www.travellingbag.wordpress.com for nominating me for this award, and I am overwhelmed that you are inspired by one of my passions, London. You too are an inspiration, and I so enjoy sharing the love of travel with people like you.